It is always rewarding to see the love a mother has for her child. 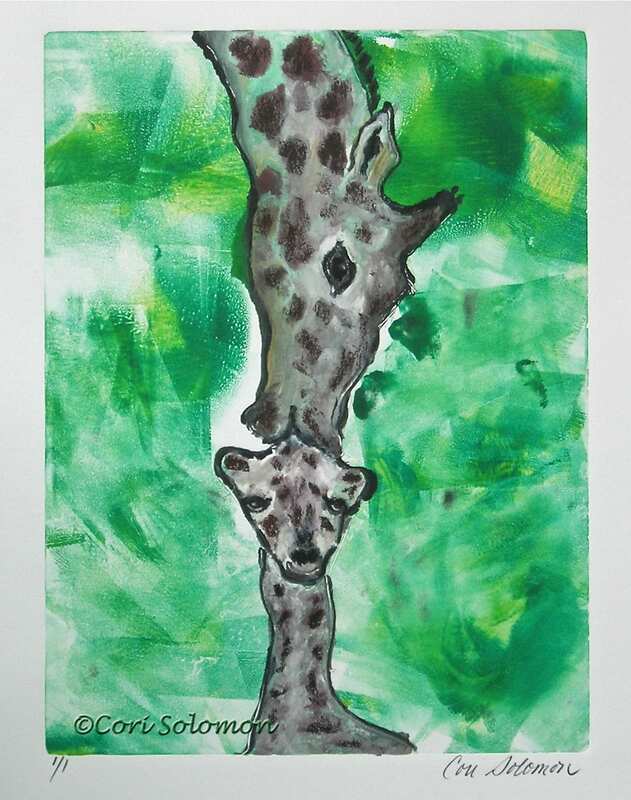 The Kiss, a hand pulled print does just that by showing a mother giraffe kissing her offspring. To purchase this Giraffe hand pulled print email Cori.